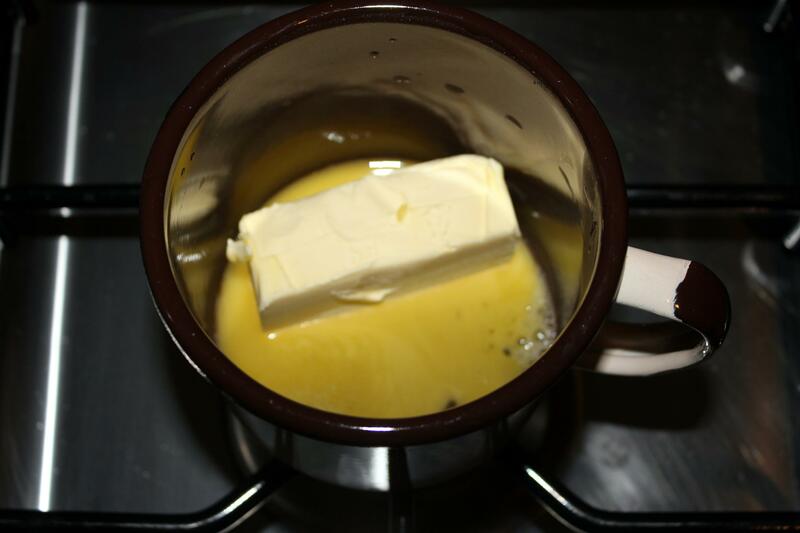 In a small pot, melt a margarine and cool off. 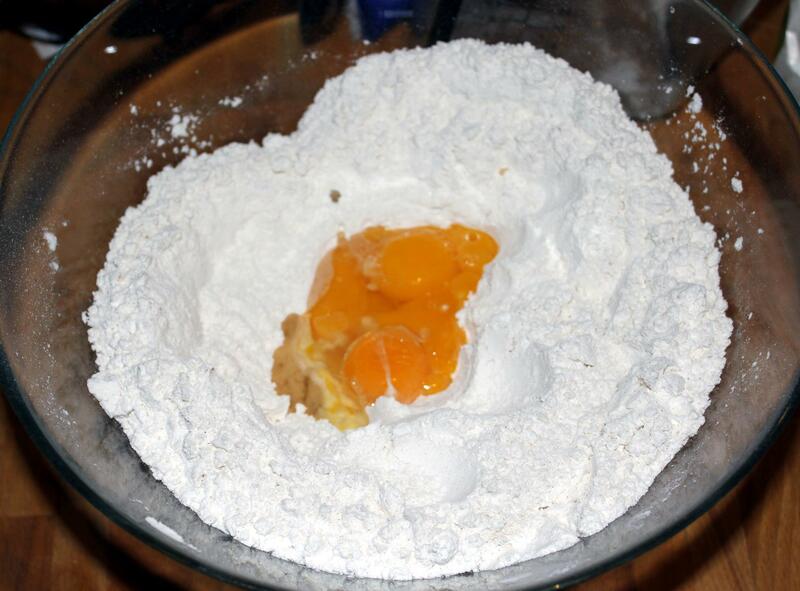 Mix flour with dry yeast, vanilla sugar and sugar. 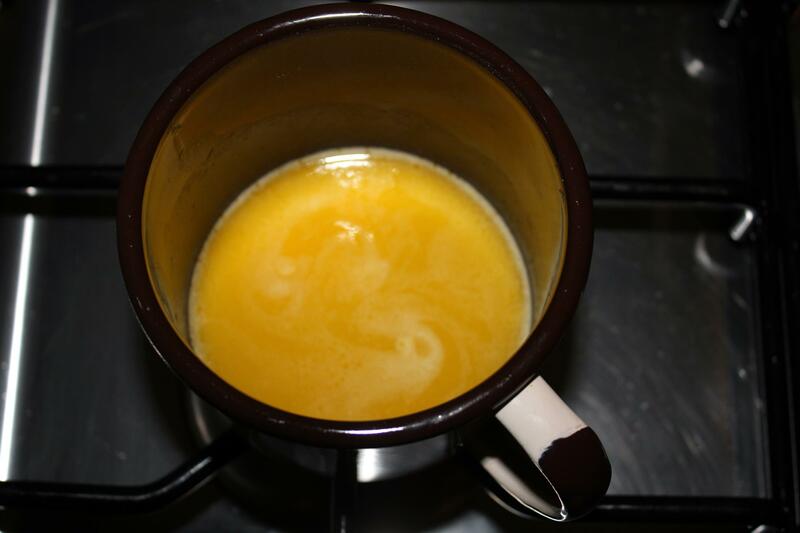 Add slightly cold milk and eggs yolks, and mix. At the end of kneading add the cold melted margarine. 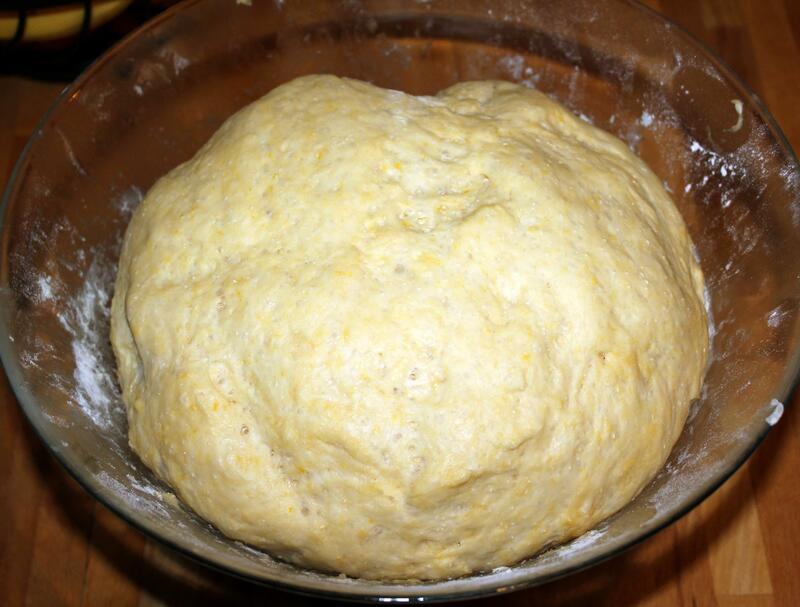 Knead until the dough forms into a ball (long enough to be soft and flexible).If the dough is sticky, add additional flour, 1 tablespoon at a time, until the dough comes together in a solid ball. 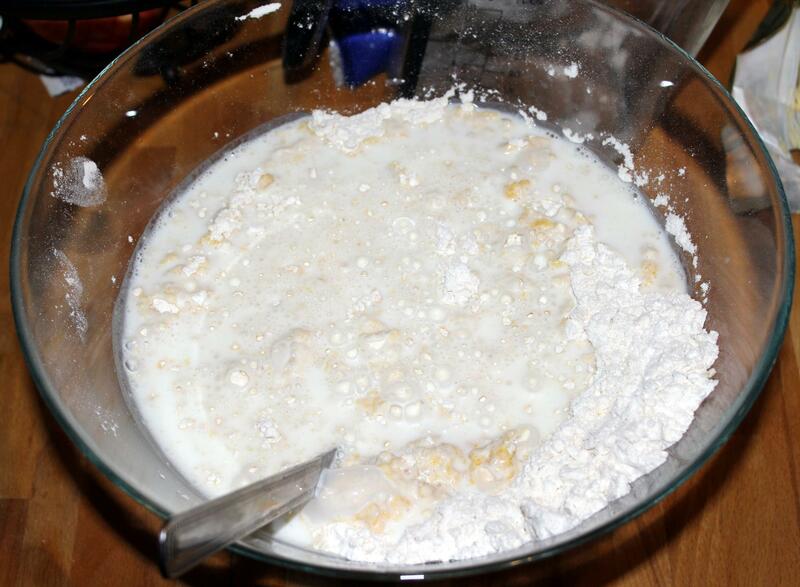 If the dough is too dry, add additional milk, 1 tablespoon at a time. 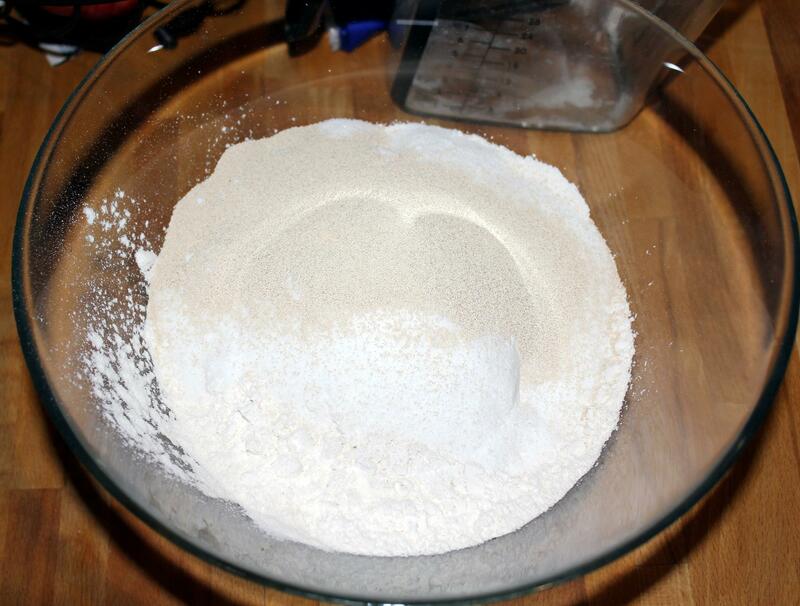 Place it in a lightly floured bowl, cover the bowl with a linen towel and let rise in a warm area until doubled in size, about 1 hour. 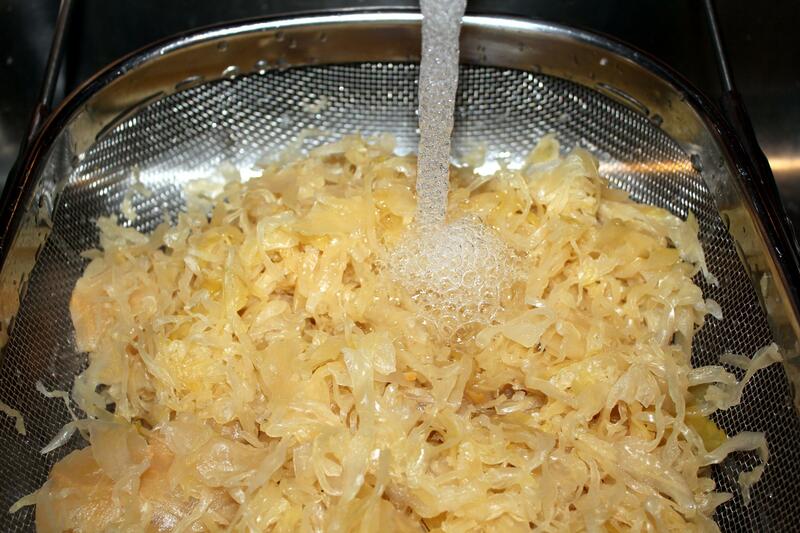 If sauerkraut is too sour, wash the sauerkraut under running water.Then add sauerkraut to a larger pot, add water to cover the sauerkraut. 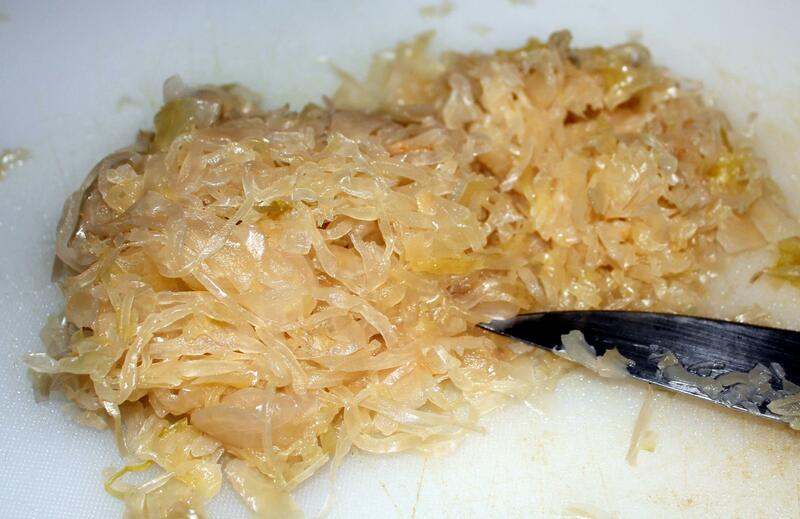 Bring to a boil and cook covered over medium heat for 40 minutes or more, until tender. 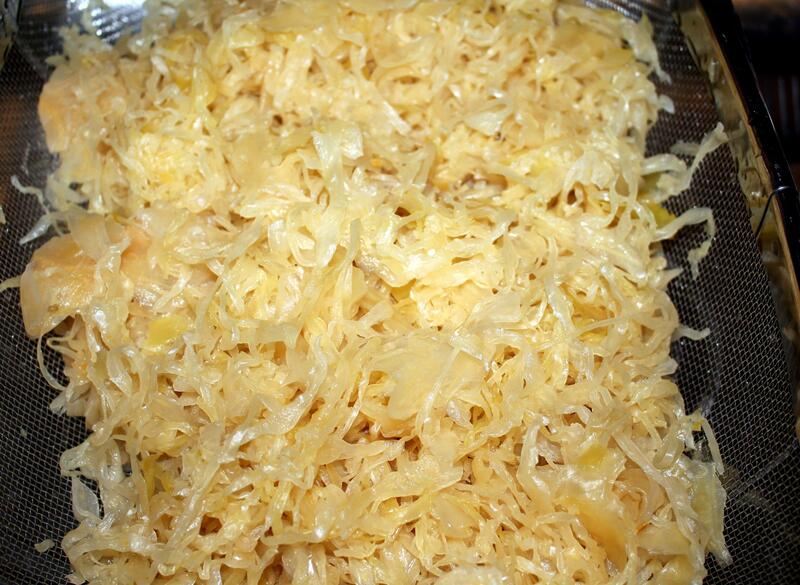 Drain, cool, squeeze out the water thoroughly and cut into small pieces (sometimes cabbage is finely shredded and does not need to be additionally cut). 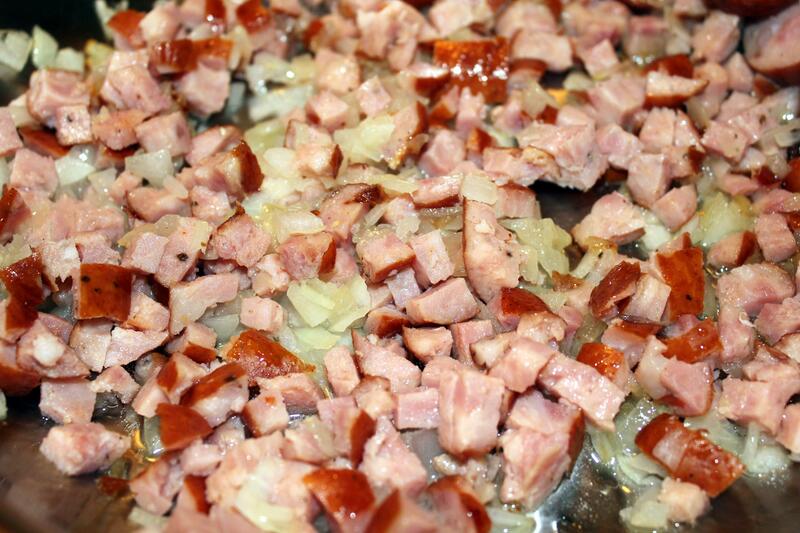 Chop the onion and dice kielbasa into small pieces. 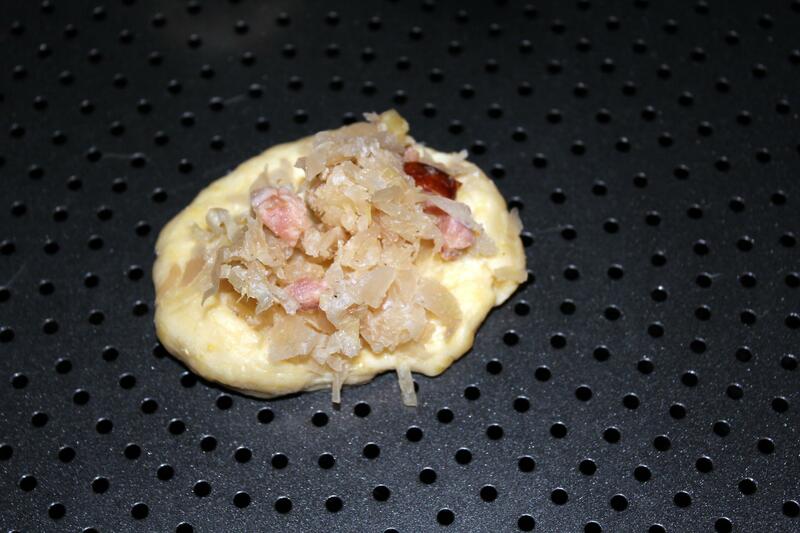 Heat the 1 tablespoon coconut oil in a large skillet over medium heat. Add the onion and cook, stirring, about 1 minute. 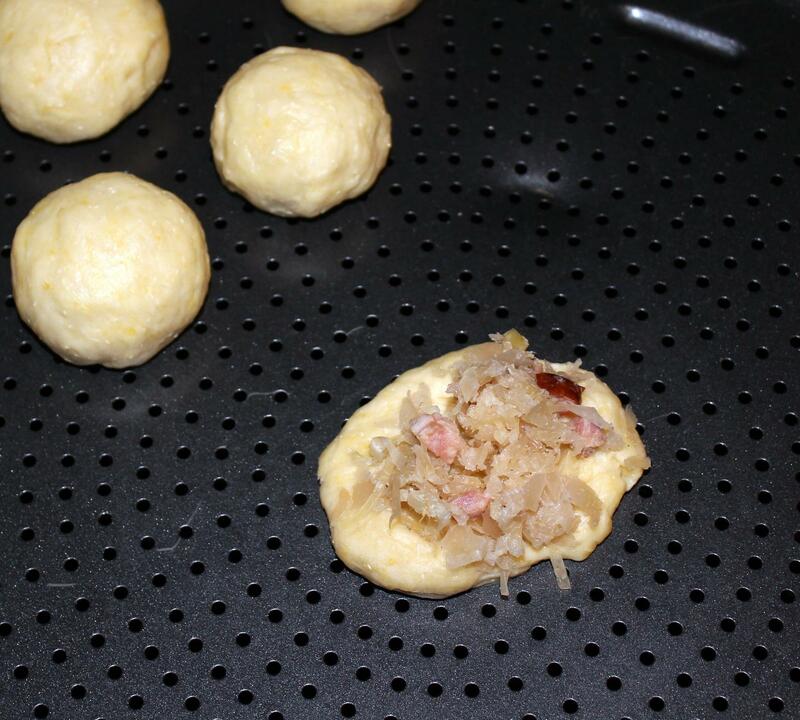 Add kielbasa and fry together until kielbasa will be golden brown, about 5 minutes.Then in a large pot combine together sauerkraut with kielbasa and onion. Season with salt and pepper and mix well. This can be done the day before and refrigerate, covered. 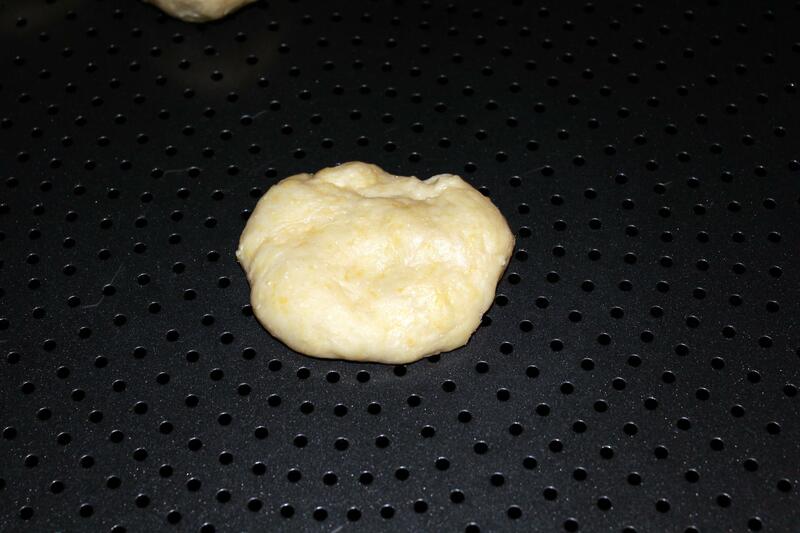 Grab the small piece of the dough, flatten each piece first in hands, then add 1 tablespoon filling in the center of each circle. 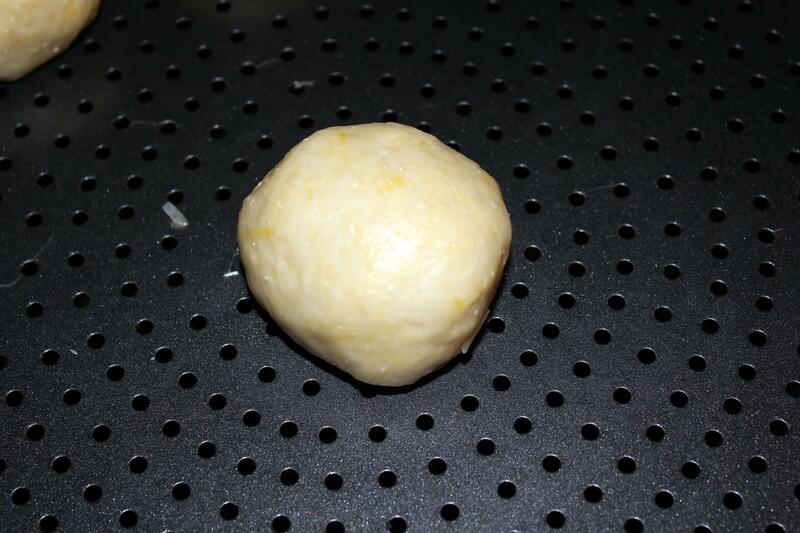 Fold the circle in half over the filling and pinch together the edges to seal. 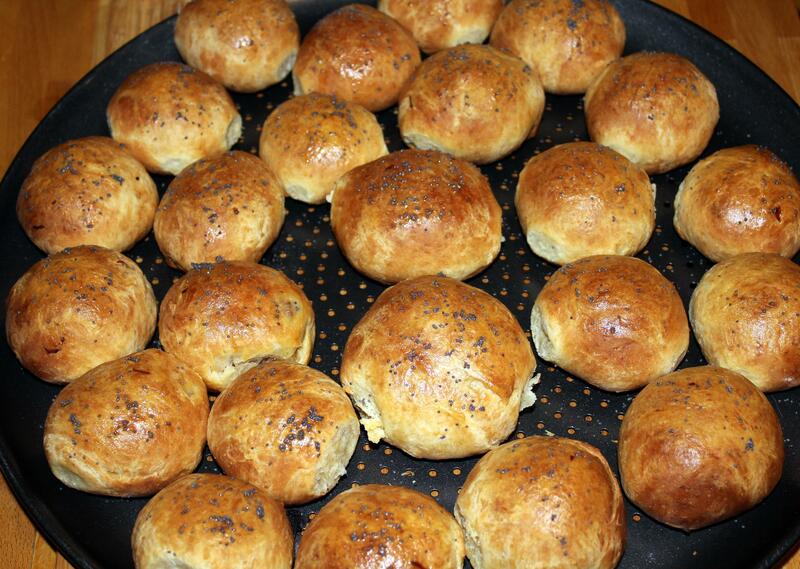 After, roll around in hands to create a ball. 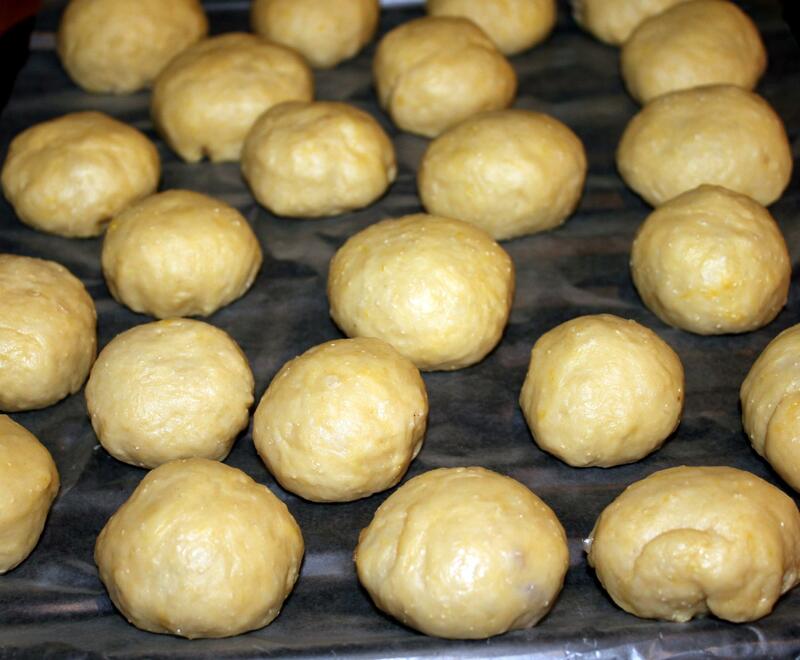 Transfer each one onto a nonstick baking sheet or baking tray lined with baking paper. 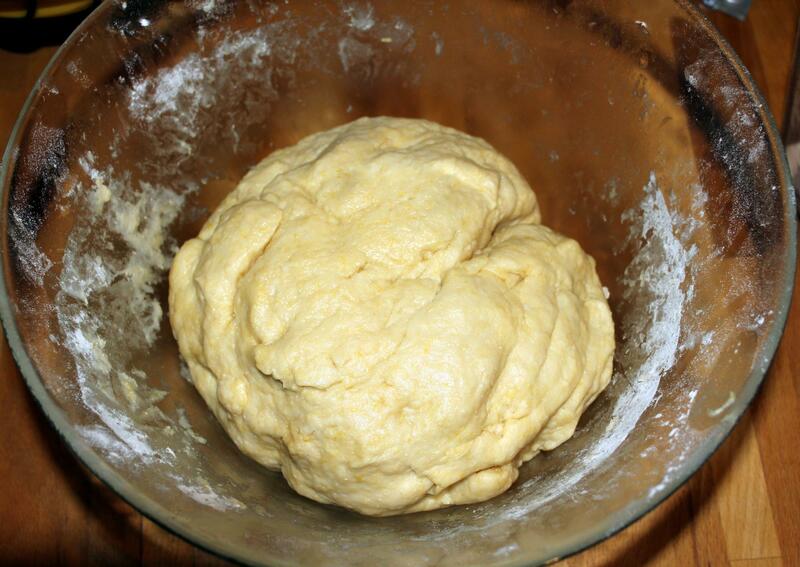 Repeat until remaining dough is used. 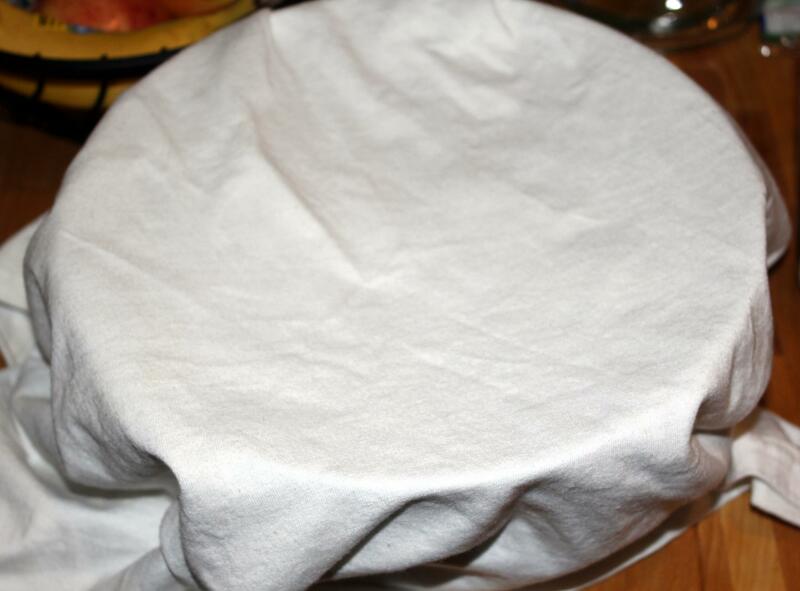 Cover the tray with a linen towel and let rise in a warm area until doubled in size, about 30 minutes. 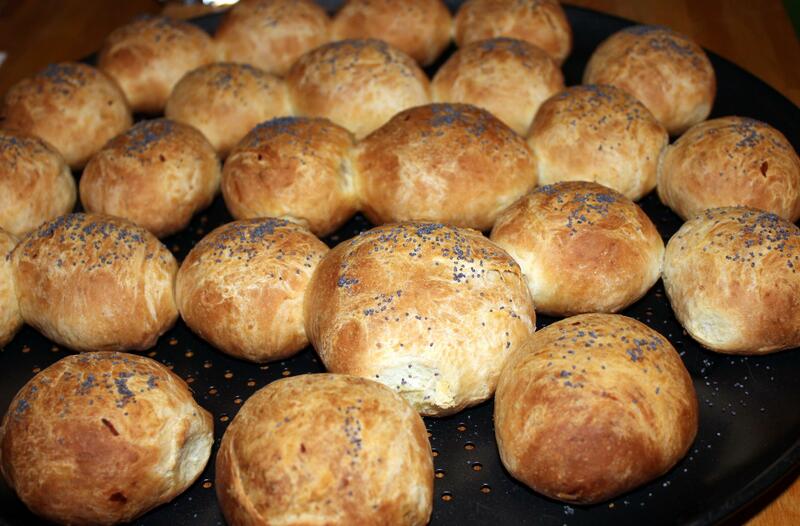 Before baking spread with melted butter, sprinkle with poppy seeds. 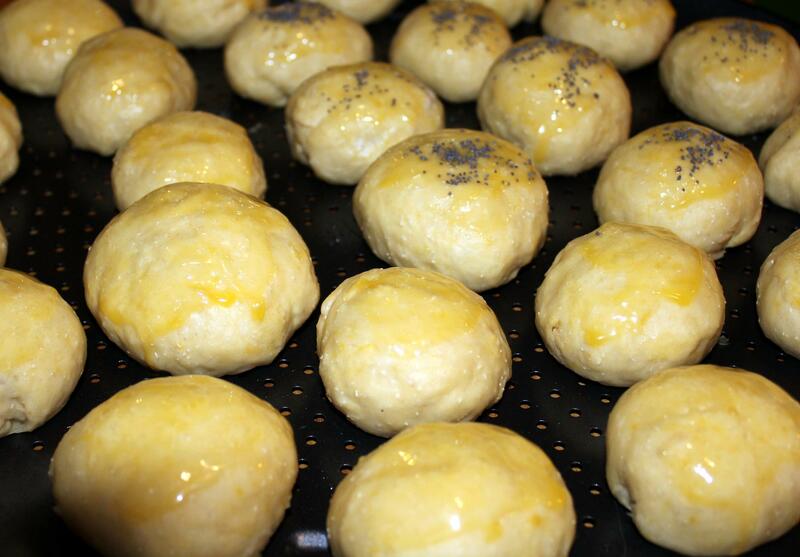 Bake for about 20 minutes in a preheated oven at 395 ° F, until golden brown. 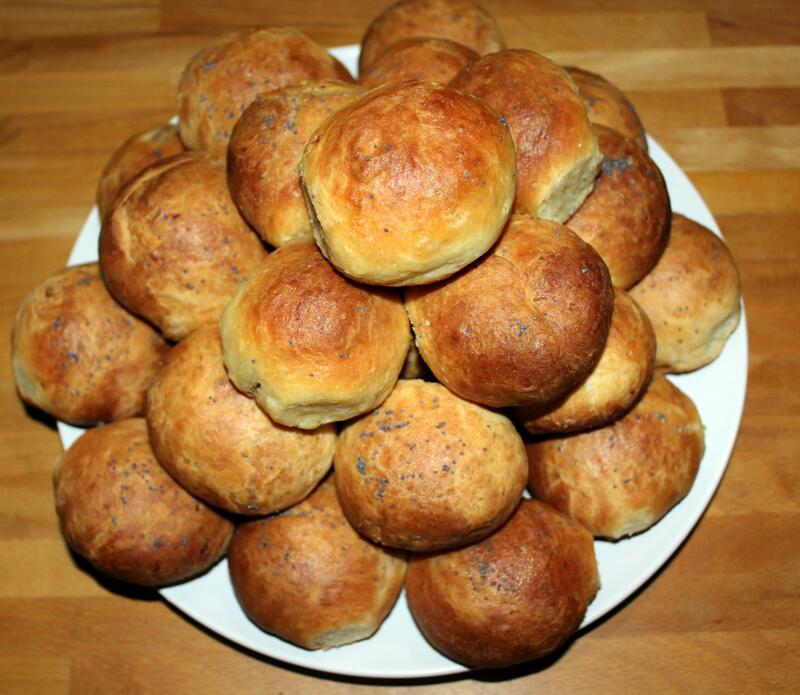 Remove, spread with melted butter or oil, then let them cool on a baking rack. It makes around 50 balls.